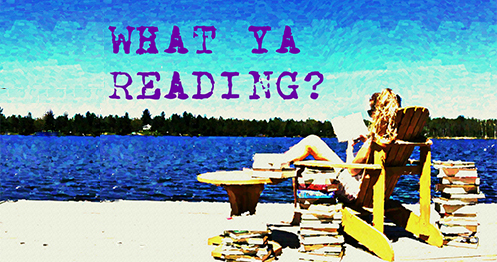 The Iron King | What YA Reading? 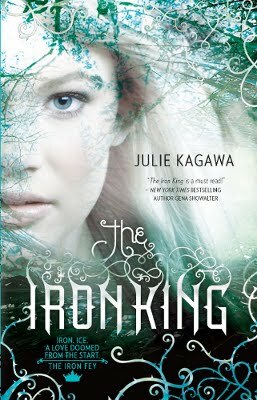 The Iron Fey series has, of course, been all the rage in the YA world since its 2010 publication. Why, you ask? Regrettably, I cannot tell you. It is simply a concept that I can in no measure fathom. I give Kagawa credit for her world building. What with the various courts, creatures, and Shakespearean derivatives, The Iron King‘s fantastical world adheres to the assorted folklore and mythology surrounding fairies. Say what you will about this novel’s faults– and indeed I shall– but the author incontestably did her research. She even threw her own original twist into the medley, which, if a wee bit forced, at least surprised me. And if the descriptions were excessively lengthy and extensively verbose, at least they were somewhat interesting. Unfortunately, the praise ends here. Our protagonist, Meghan Chase, is a remarkably unpleasant kind of person. Agonizingly self-centred, mind-numbingly irritating, and doggedly impulsive, she is essentially an all-around unlikeable individual. As she’s a misfit at the dreaded high school and misunderstood by her parents, I feel as though Kagawa really did her level best to make her main character relatable to readers. Unfortunately, I cannot say that she succeeded. I’m not sure what the problem was. Perhaps that I spent the entirety of the novel hurrahing enthusiastically for Meghan’s enemies. The secondary characters are no better. Both love interests are miserably one-dimensional and follow the suit of your typical love triangle’s stereotypes: Robbie is Meghan’s Pining Best Friend, whereas Ash is the Aloof Hottie. Toss Kagawa’s vain attempts at A Girl just like You into the mix, and folks, I believe we have reached the bottom of the very shallow, very cliché barrel. Now, there’s nothing wrong with the story per se; instead the problem lies within the way the story was told. Which is to say, clumsily. This novel is laced with the forced, the feigned, and the fabricated. Both in regard to the plot and the writing, The Iron King strikes me as a work of rather dubious fan fiction, or an amateur middle grade online novella. Essentially, it is juvenile. Ergo, it is irritating. Did I finish it? Yes. Is this solely due to the fact that I was trapped on a 2 hour flight with reading material limited to this and Sky Mall? One can only assume.